Very happy with the service I received from Sela, from the very beginning with Joe Domiano (sales) through my final payment with Michelle Erdmann. They did a great job on my roof; they were on time, everything was done right, and were patient and thorough in answering my questions. The whole team is excellent. I do not hesitate to recommend Sela to anyone who needs a new roof. 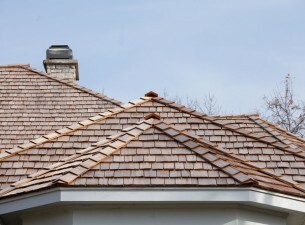 SELA HAS BEEN PROVIDING QUALITY ROOFING SYSTEMS IN THE MINNEAPOLIS AND THE SEVEN-COUNTY METRO FOR OVER 35 YEARS. We are licensed, bonded and insured in the state of Minnesota. Our work is backed by both workmanship and manufacturer’s warranties, providing you with the peace of mind that comes with all Sela projects. A large selection of shingle roofs, rubber/metal roofs, cedar shake wood roofs, standing seam & copper roofs, slate, tile, and more. Member of National Roofing Contractors Assocation (NRCA), Cedar Shake & Shingle Bureau, Builders Association of the Twin Cities (BATC), Multi-Housing Association (MHA) and National Association of the Remodeling Industry (NARI). Learn More – link to full roofing page see main site with anatomy of a healthy roof. Our dedication to customer service begins with our courteous, professional office staff. You’ll find that our employees are dedicated to delivering the high degree of service that distinguishes Sela. You can expect us to be courteous, helpful, polite, concerned about your property and able to thoroughly answer any questions concerning your project. If you choose Sela for your roofing project, you’ll be contacted by our staff in regard to scheduling your work. Upon completion, our project manager will contact you to confirm that the work has been done to your satisfaction. Please don’t hesitate to contact us with any questions or concerns you have at any time during the execution of your project. Call us today at 612) 823-8046 to discuss your Residential Roofing project needs with a Sela representative, or simply fill out our free estimate request here and we will contact you directly.